These images are my very first attempt using my webcam. The seeing was unbelievably bad and I had severe problems trying to focus the telescope but I was able to produce a couple of video files which I processed to produce identifiable features. 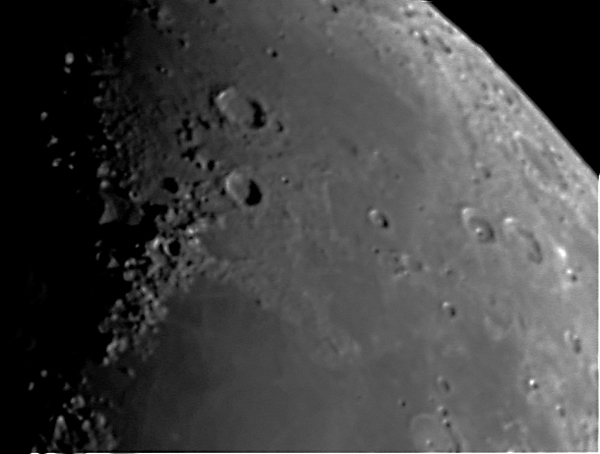 The focus is not good but the large craters Aristoteles and Eudoxus are unmissable. 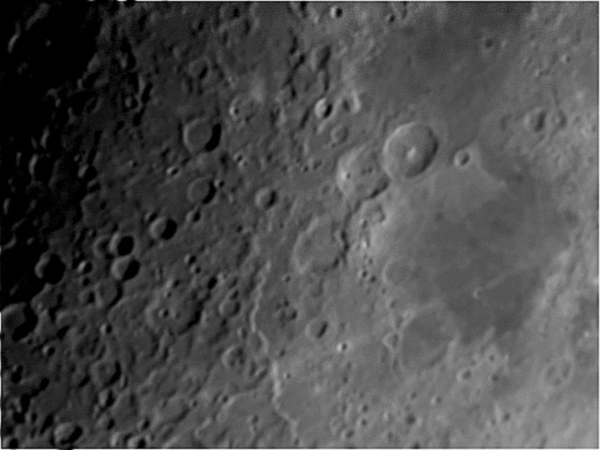 Mare Frigoris is just above and to the right with Mare Serenitatis dominating the southern part of the image. The Caucasus Mountains sweep southwards from Eudoxus with Posidonius at the bottom of the frame. Hercules, with its central crater and Atlas are in the middle right. A different way to explain the features in the image!! Sorry about the spelling of "Nectaris"